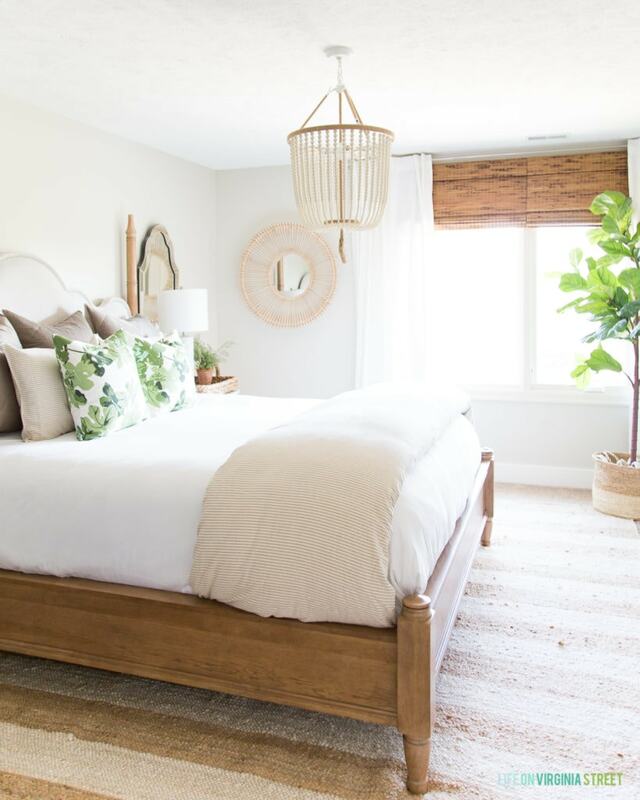 I’m back today with another fall space in our home – our neutral and green fall guest bedroom! 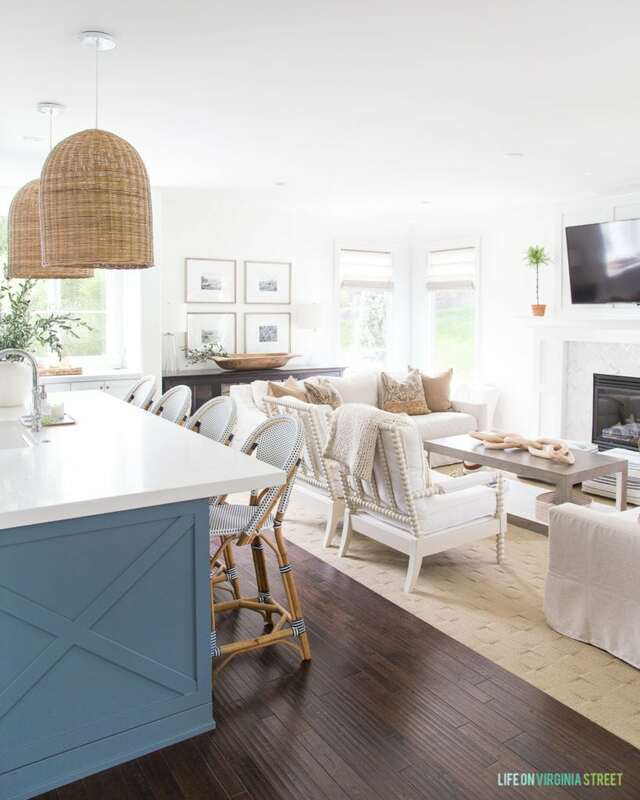 I’m excited to be joining a group of over 35 talented bloggers who are also touring through part of their home ready for fall. Hop around at the end of the post to take in all the stunning inspiration. If you’re stopping in from Just a Girl and Her Blog, welcome! Abby was one of my very first “real life” blogger friends and I always love seeing her beautiful seasonal updates! For my regular readers, you were probably shocked that the color “blue” wasn’t also listed in my title. But, our neutral and green fall guest bedroom is still a new favorite of mine. Before we get to the updated space, I want to re-visit our other fall tours for those that may have missed it. I’ve said it before, but I’m all about simplicity this fall. I’m trying hard not to over-decorate and just add small touches here and there to welcome the new season! Last week, I shared our fall kitchen and living room spaces in our early fall home tour. 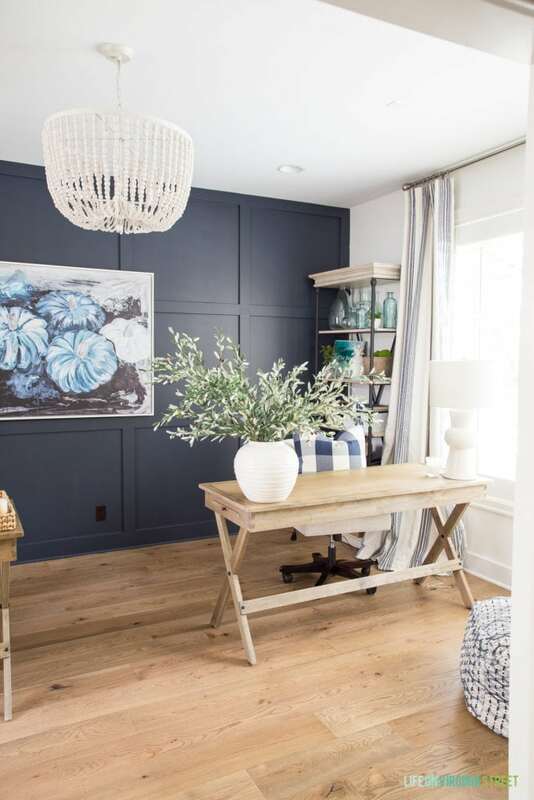 Yesterday, I shared our fall home office tour. 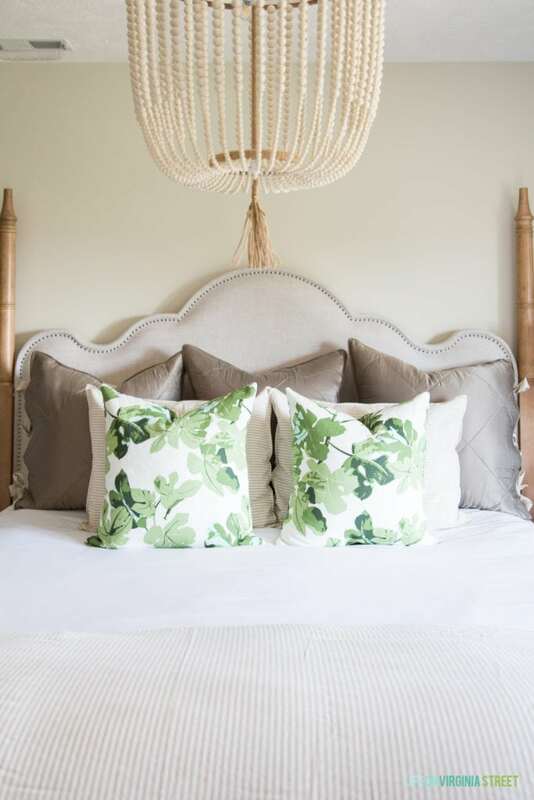 Now today, I’m sharing our neutral and green fall guest bedroom! I opted to go somewhat of a boho/earthy route with this room for fall and I love the result! I also think this is the only room that doesn’t have an olive leaf branch in it. Instead, I went for my other standby – fig leaves! 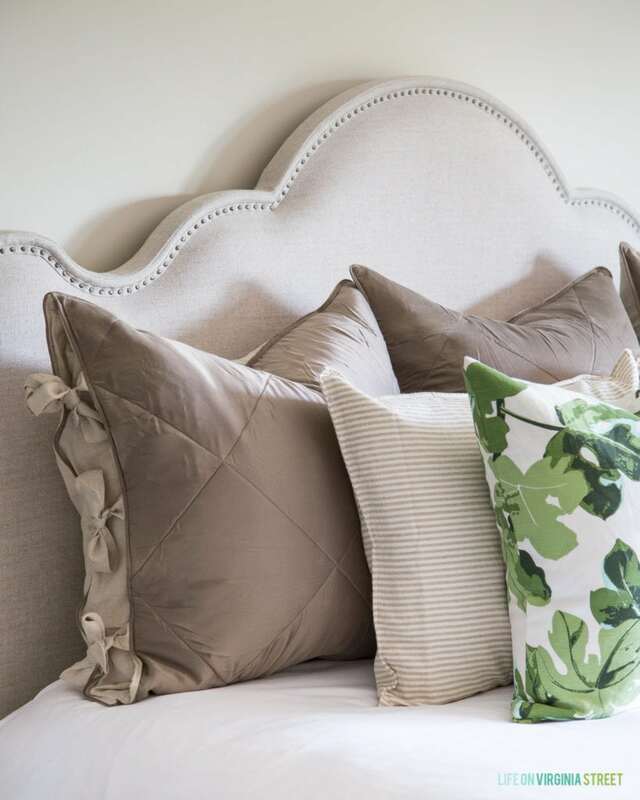 I’ve had these fig leaf pillows for a few years now and love finding new ways to use them! This is the first time I’ve mixed them with neutrals and I love the effect! They pair beautifully with this reversible linen and silk shams (how cute are those side ties?!) and striped shams. The rattan mirror has actually been in the room for awhile – just on a different wall. 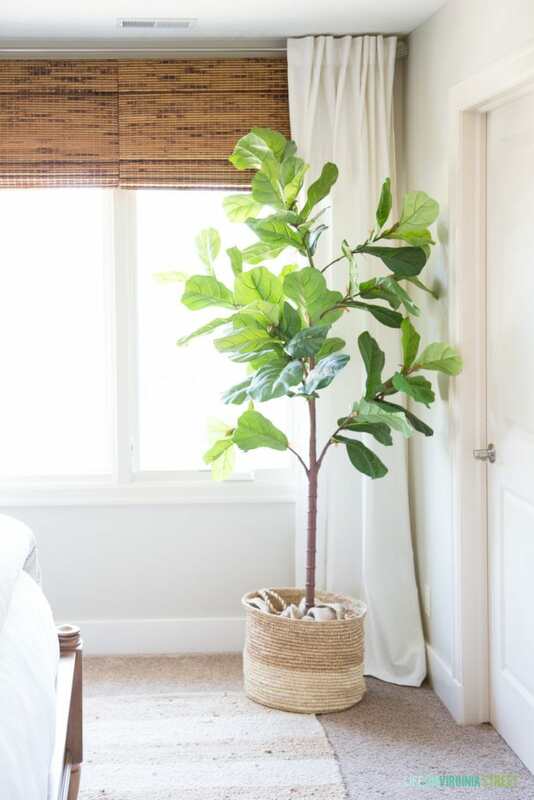 Our faux fiddle leaf fig tree has also made the rounds in various rooms in our house. But I’m loving it here for now! I finally trimmed the tassel on our bead chandelier a bit. I think when it arrived it was no less than 10 inches long! It may still end up going shorter, but I thought I’d live with it for awhile at this length and then re-evaluate! 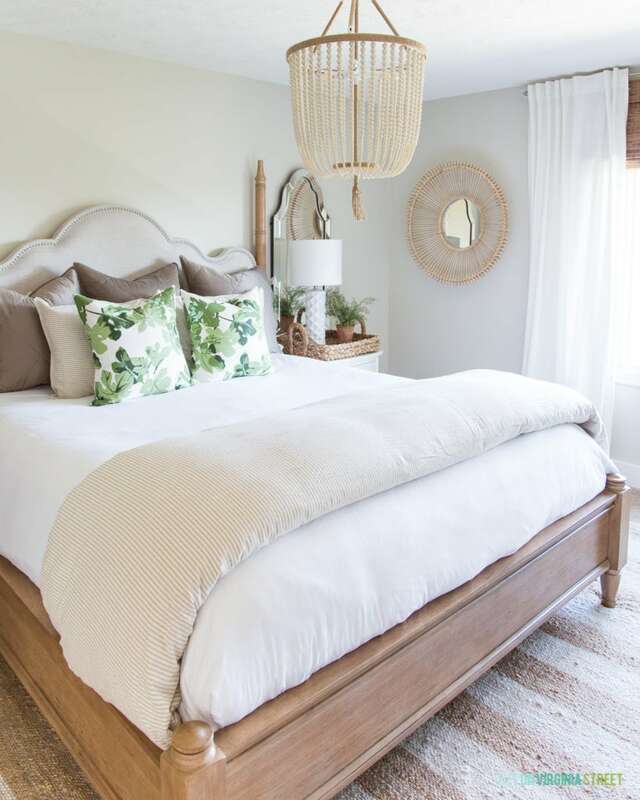 The striped duvet cover adds an extra layer of coziness for the cooler months! I’m loving this fresh new color palette for the fall months! 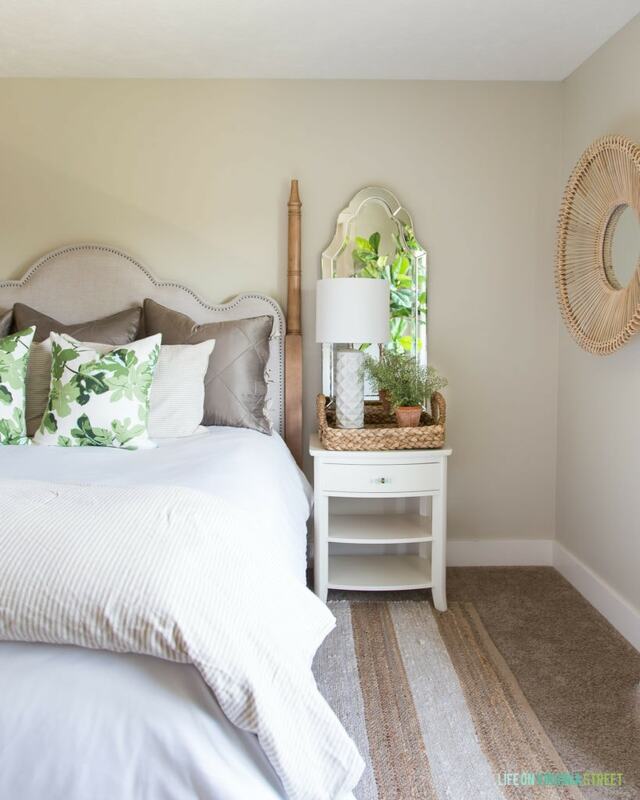 I hope you enjoyed our neutral and green fall guest bedroom tour! I’ve linked all of the other sources in the room below. Just scroll through the widget and click any of the items you’re interested in. The next stop on the tour is Modern Glam I fell in love with Ashley’s home on Instagram, and it never disappoints! Be sure to also stop by all the other homes in the tour below! Your home is to die for! I especially love those chairs in your living room. Your home is stunning for Fall! Happy Fall! Your home is so gorgeous, Sarah! Love every detail and all the simple fall details are perfection. I always love your gorgeous house, Sarah! And I’m so glad that we get to be real life friends and blog friends! 🙂 Have a wonderful weekend! Beautiful home! What is the paint color on your walls in the guest bedroom? Thank you! The paint color is Dutch Boy Paints ‘Existence’. Sarah, I love the simple touches you have added to your home for fall. 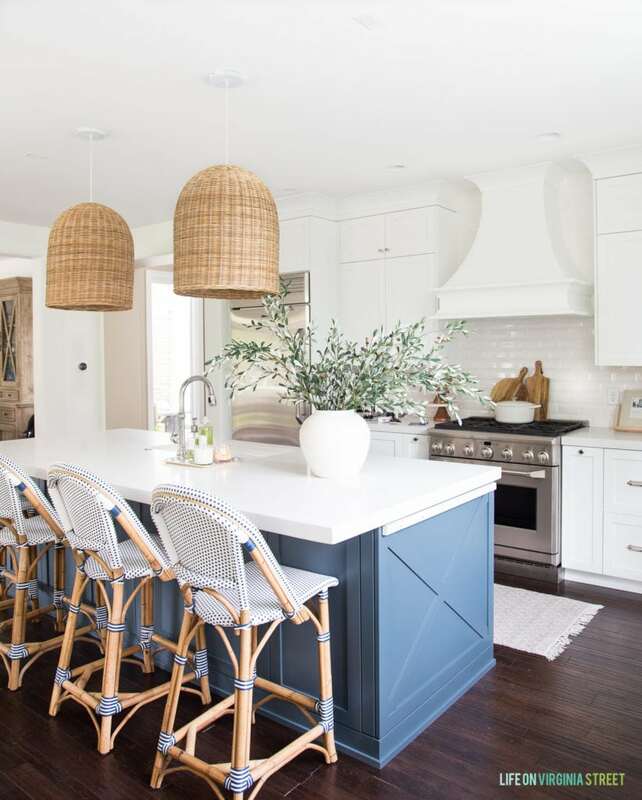 And I can’t get over your kitchen remodel – stunning!! !